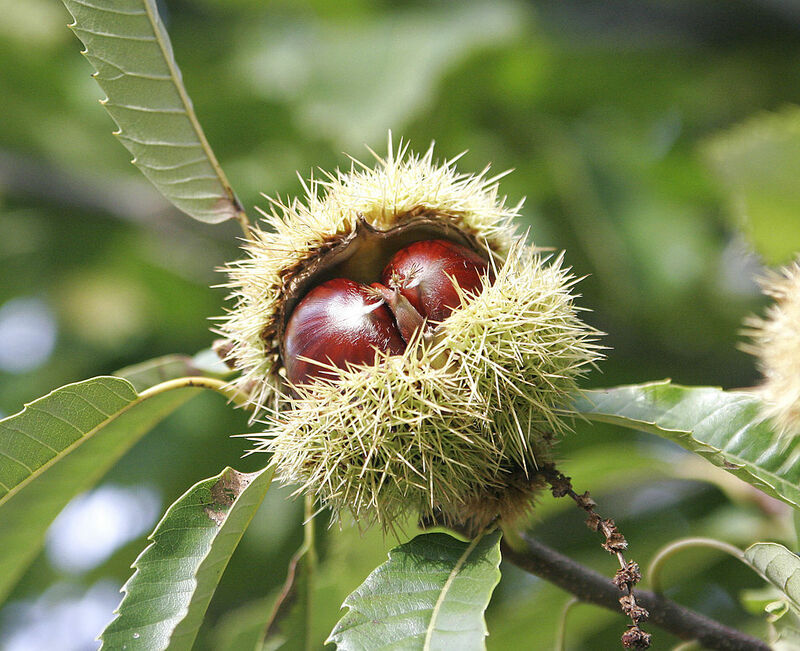 The chestnut tree (Castanea sativa) is, like the oak tree, typical of parks and woodlands in the UK – although they’re much more widespread than just that. They are still grown commercially in manmy places, with the top producers being China, Turkey, southern Europe, Korea, Bolivia; Australia is a small player in the global market, but we do grow chestnuts here too, mainly for domestic use. Chestnuts are a significant food crop in southern Europe and east Asia, and were widely eaten in the past by the indigenous peoples of North America. The relationship between humans and chestnuts dates back to prehistoric times, like many tree crops which contain enough starch or protein to qualify as (potential) staple crops. Chestnuts are high in carbohydrates, and once cooked their texture and flavour (nutty, sweet) very similar to baked sweet potato. They can be eaten whole, pureed for use in soups and sauces, or dried and ground into chestnut meal for use in baking and cooking. Chestnut meal can be used in cakes and pancakes, biscuits, pasta, polenta, and as a thickener in soups and stews. The whole nuts can be used in soups, stews and casseroles in place of pumpkin or potato, or used to stuff vegetables, poultry, or fish, as well as having a wide variety of uses in baking. The nuts are also candied and sold as marrons glacés. 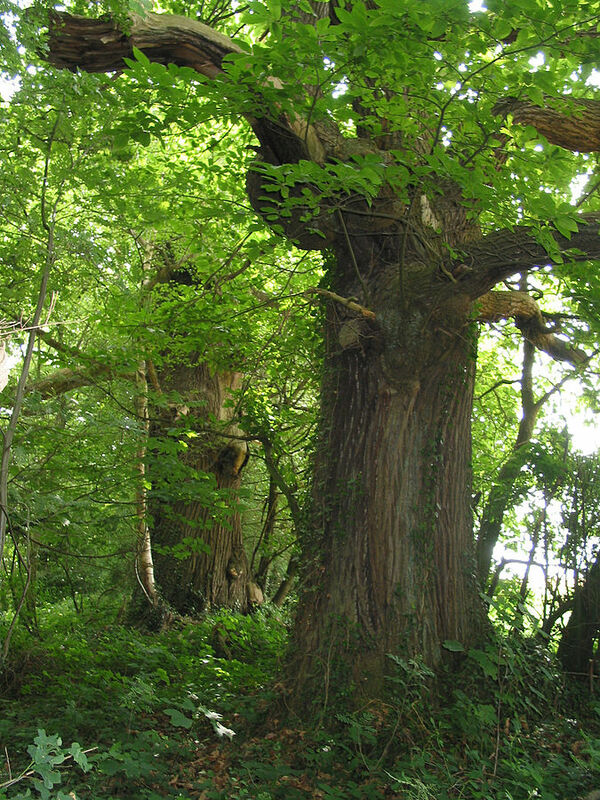 Chestnut trees are relatively fast growing, but long lived (up to 1000 years). They can reach up to 35 m in height, and the trunk may reach 12 m in diameter. Leaves are 16 – 28 cm long, with toothed margins. Bark is grey-brown and deeply ridged. Flowers are long catkins, either male or female, both being borne on the same tree. Pollination is primarily by wind, and cross pollination is desirable for production. By autumn the female flowers develop into spiny protective husks called cupules. This prickly outer layer deters squirrels and other seed predators from getting to the nuts within them, before they are shed. Late spring and early autumn frosts can adversely affect flowering, and a mild climate is therefore preferred. In forest conditions, chestnut trees are tolerant of shade and will still produce well as long as there is sufficient moisture. Chestnuts require well-drained soil, and prefer nutritionally poor, neutral to acidic soils; they are intolerant of lime. The ideal annual rainfall is 600 – 800 mm, but they are sensitive to summer drought. 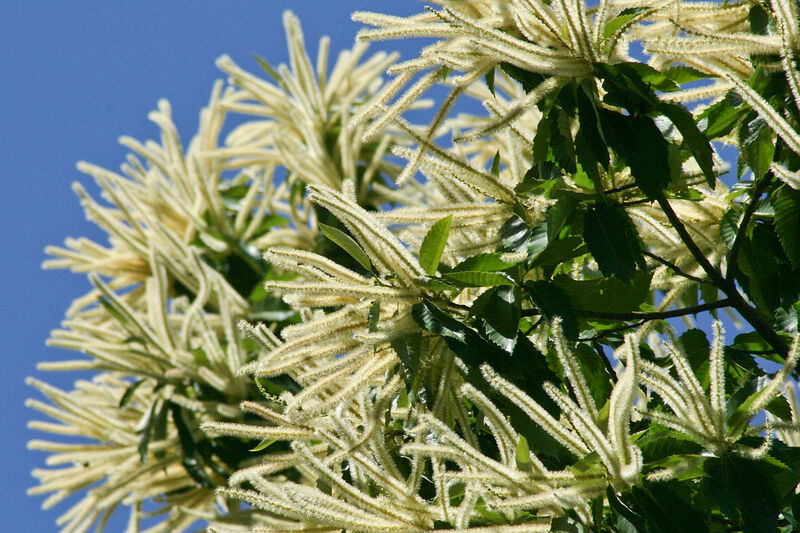 The wood of the chestnut tree is durable and has been used to make furniture, barrels, fencing and roof beams. However, as it tends to split and warp, it is not usually used in large pieces requiring structural strength. Heartwood is a light to medium brown, darkening to a reddish brown with age. Narrow sapwood is well-defined and is pale white to light brown. Like acorns, chestnuts should not be eaten raw due to their tannin content. Fresh chestnuts are cooked, either by boiling or roasting them, to denature the tannins and bring out their rich, sweet flavour. For both cooking methods, first make a small incision in the skin or the nuts will explode and spread chestnut shrapnel far and wide. Once cooked, peel off the tough shell and the papery thin skin underneath. Peel the nuts while they’re hot to ensure the complete removal of the inner skin or pellicle, which is bitter. Chestnuts can also be dried with the shell on, if they are located somewhere with good airflow and low humidity. Once dried, they can be shelled like soft-shell almonds – try putting the nuts in a cloth bag or sack and hitting it on the ground a few times to break the shells. Shake the bag gently to roughly separate the nut meats from the shell pieces, then hand sort to separate the nuts and the shell fragments. Steaming the nuts for a few minutes rehydrates them, and allows the pellicle to be easily rubbed off. After removing the pellicle, boil the nuts to soften them up, and then serve them as-is (perhaps with stewed fruit or vanilla custard) or chop or puree them to use in a chestnut recipe. Combine the chestnuts, sugar or honey, and egg yolks in a blender or food processor, and process until smooth. Place the butter, chocolate and milk into a pan over a low heat and warm gently, stirring, until the chocolate and butter have melted and the mixture is smooth. Stir the vanilla and cognac or rum into the chocolate mixture. Add the chocolate sauce to the chestnuts in the blender or food processor, and process again until fairly smooth. In a clean bowl, whip the egg whites until they hold stiff peaks. Gently fold the whipped egg whites into the chestnut mixture. Pour the batter into a lightly greased loaf pan, and bake in a preheated oven at 180 degrees C for 20 – 40 minutes, or until the centre is set. The cake is set if the centre doesn’t wobble – it will still be gooey when hot due to the chocolate. Cool completely before removing from the pan. Chill for 24 hours. Topping: Gently melt the chocolate, butter and cream together. Allow to cool to just above room temperature. Spread or pour the warm topping over the cake. Chill to set the topping, or serve with the topping still warm. To serve, turn the truffle cake out onto a plate, and dust with icing sugar. Serve in thin slices with cream or cold vanilla custard. Many people know carob only as a chocolate substitute, but the truth is that carob does not taste like chocolate. The raw, dry pods have a rich, caramel flavour a little like a date; roasting the carob pods gives them a darker, nuttier character. Both raw and roasted, carob pods have been used as a sweetener and basic foodstuff for thousands of years. The cultivation of the carob tree (Ceratonia siliqua) is mentioned in ancient texts, dating back to Mesopotamia and Ancient Egypt. It was grown in the Middle East, North Africa and the Mediterranean. Carob thrives in these climates, surviving drought, heat, and poor soils. To fruit, a carob tree requires 500 mm of rainfall per year, although the tree can survive on much less once established. Carob is also frost tolerant (to approximately -20 degrees C). They can be grown form seed, or known varieties can be grafted onto seedling rootstock. Fresh seeds germinate quickly and may be sown directly in the field. Dried, hard seeds need to be scarified or chipped and then soaked in water or dilute sulfuric or hydrochloric acid solutions until they swell. Grafting (budding) is done when the stem is at least 1 cm in diameter. Carob trees are evergreen, with rough, brown bark and glossy, leathery green leaves. The tree may grow to be 15 – 17 m tall, but is slow growing. The flowers are small and red, borne in clusters along the branches and are pollinated by wind or by insects; male, female, or hermaphrodite flowers occur on separate trees. The fruit (seed pods) take a full year to develop and ripen. When green the pods are moist and very astringent, while the ripe pods are sweet when chewed. Male trees do not produce fruit. Carob pods contain approximately 45 – 55% sugars and around 8% protein, as well as high levels of dietary fibre. In addition, carob contains useful levels of niacin, calcium, and vitamins A, B1, and B2. Unlike chocolate or cacao, to which it is often compared, carob does not contain caffeine – meaning that it can be used in food or drinks for people who have allergies to or high susceptibility to caffeine. There is some indication that carob is helpful in calming digestive upsets, and it may be of benefit to people suffering from Irritable Bowel Syndrome. Once we get past the idea that carob is a chocolate replacement, it’s easy to appreciate the flavours of carob for its own sake. 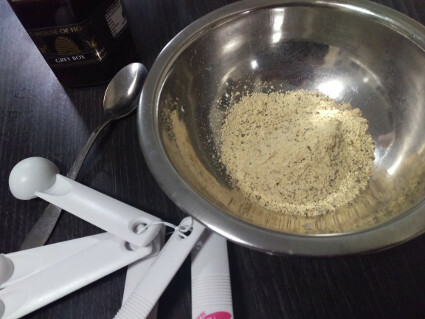 Stir carob powder into porridge or sprinkle it over ice-cream. Chew on the whole pods or carob ‘kibble’ (piece of pods, after the seeds have been removed) as a snack when hiking or camping. Use it like cinnamon & sugar to dust over fruit such as quinces or apples before baking. Add it into cakes or muffins at a rate of about 1 – 2 Tablespoons per cup of flour to give a caramel-fudge flavour (you may need to slightly reduce the sugar used in the recipe, as carob is quite sweet). Add carob syrup to cocktails and mocktails for a sophisticated drink, or include it in salad dressings in place of honey or pomegranate molasses for a different flavour. 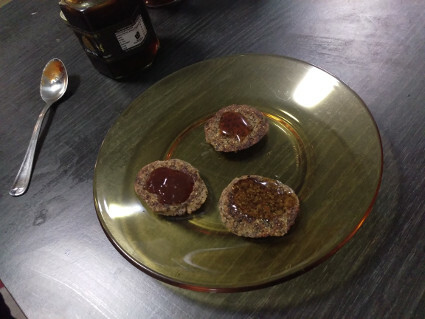 Carob is not exactly a staple food, in that it could not easily take the place of wheat, rice or corn as a main source of carbohydrates in the human diet. However, it has the potential to add to our dietary diversity and to provide both pleasant flavours and a source of sugars. It is also of use as high quality animal feed for ruminants. This hot drink is perfect for a winter evening, combining the caramel flavour of fresh carob with vanilla and spices. You can make it with non-dairy milk if you prefer – I’d suggest hazelnut milk or rice milk rather than soy or almond milk, as the flavours will combine better. 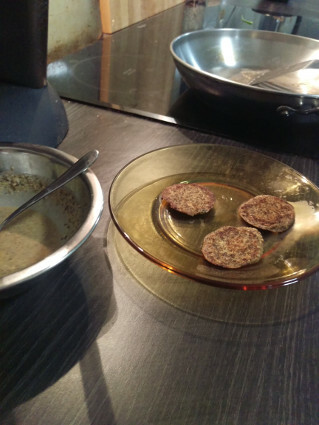 Combine milk, spices and carob powder in a small saucepan. Warm over medium heat, whisking to remove any lumps. Do not allow the mixture to boil. 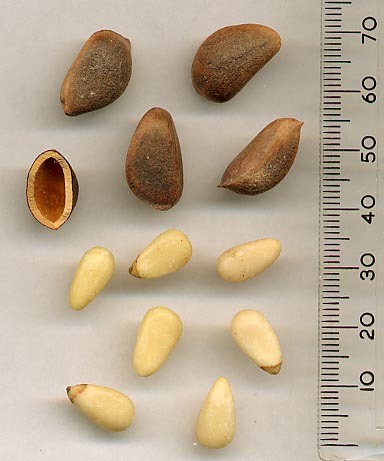 Pine nuts are the edible seeds of several species of pine tree. The main species of pines used for pine nut production are the stone pine (Pinus pinea), Korean pine (Pinus koraiensis), chilgoza pine (Pinus gerardiana), and the North American pinyon pines, including the Colorado pinyon (Pinus edulis), single-leaf pinyon (Pinus monophylla), and Mexican pinyon (Pinus cembroides). We have 5 seeds (Pinus pinea) in pots, having stratified them in the fridge for the requisite 5 weeks (until they began to germinate) then planted them out into tree tubes; No sign yet of green shoots, but I’m still hopeful that spring will see baby pine trees emerging. The trees are long lived and relatively slow growing, evergreen and coniferous. Stone pines are well adapted to (and native to) the Mediterranean region, and thus also well adapted to Perth’s climate. Stone pines planted in areas with more than 400 mm annual rainfall produce greater yields of nuts, although the trees can survive in drier climates; the minimum rainfall for stone pines is considered to be around 250 mm per year, and 600 mm per year is considered to be the optimum. It does not appear to suffer from light frosts, and can survive well down to -10 degrees C. The tree tolerates calcareous soils, but it prefers acid or sub-acid siliceous and sandy soils. A mature stone pine averages 12 – 20 m in height, but may be taller. The tree is bushy when young, but at maturity it has an easily recognised ‘umbrella’ shape, with a broad, flat crown of foliage at the top of the trunk. Leaves are flexible and needle-like, as is typical of most pine species, blue-green in colour and 10 – 20 cm long. The seed-bearing cones are 8 – 10 cm long, and take 3 years to mature fully. 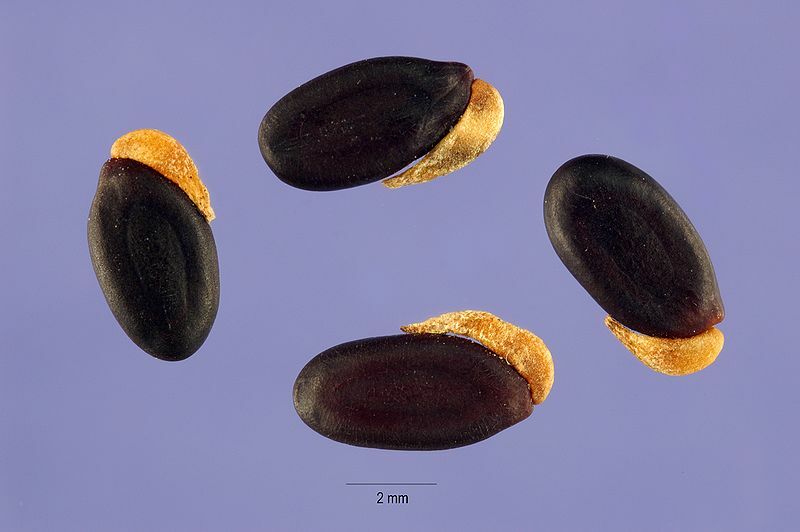 The seeds are 2 cm long, pale beige or brown with a powdery black coating that rubs off easily, and have a rudimentary wing that falls off very easily. The nuts are ready to harvest about 10 days before the green cone begins to open. Cones are collected and dried in the sun, then smashed to release the seeds. 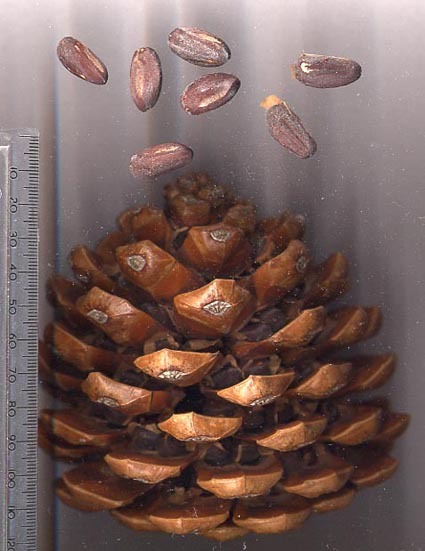 The nuts, once separated from fragments of pine cone, have a second shell which must be removed before eating. Pine nuts contain up to 34% protein, depending on species, and are also high in fibre and oil. They are frequently added to salads and baked goods, and are an essential component of traditional pesto. Pine nuts can be pressed to extract pine nut oil, a mild, nutty flavoured edible oil. Unshelled pine nuts have a long shelf life if kept dry and refrigerated, but shelled nuts (and unshelled nuts in warm conditions) quickly become rancid. Aside from shelling, pine nuts don’t need any special treatment or preparation. They can be eaten raw or cooked, whole, chopped, or ground. Pesto is traditionally made with pine nuts, but can be made with virtually any nuts, or even seeds such as pepitas. Similarly, the basil can be replaced with other herbs, or even with baby spinach leaves. Combine basil, pine nuts, olive oil and garlic in a blender, and process until smooth. Store in jars in the fridge until use. 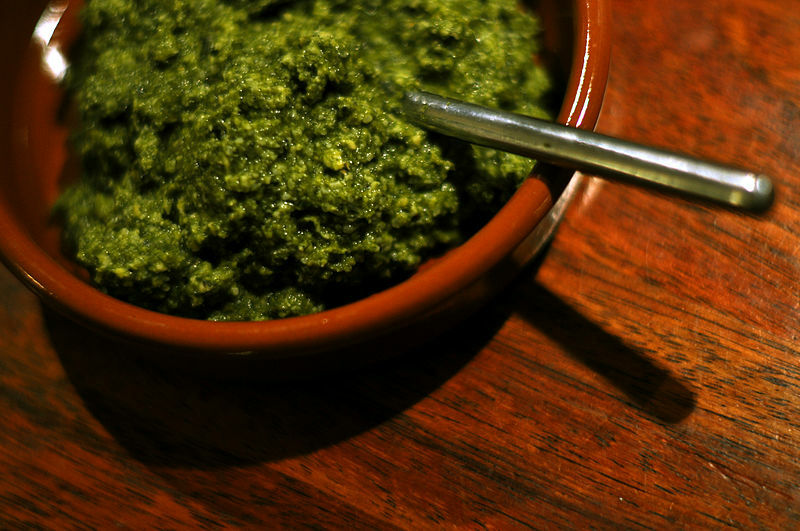 Pesto can be frozen, and thawed prior to use. If storing for more than a few hours in the fridge, and if freezing, drizzle a little extra olive oil over the top to avoid oxidation of the basil paste. 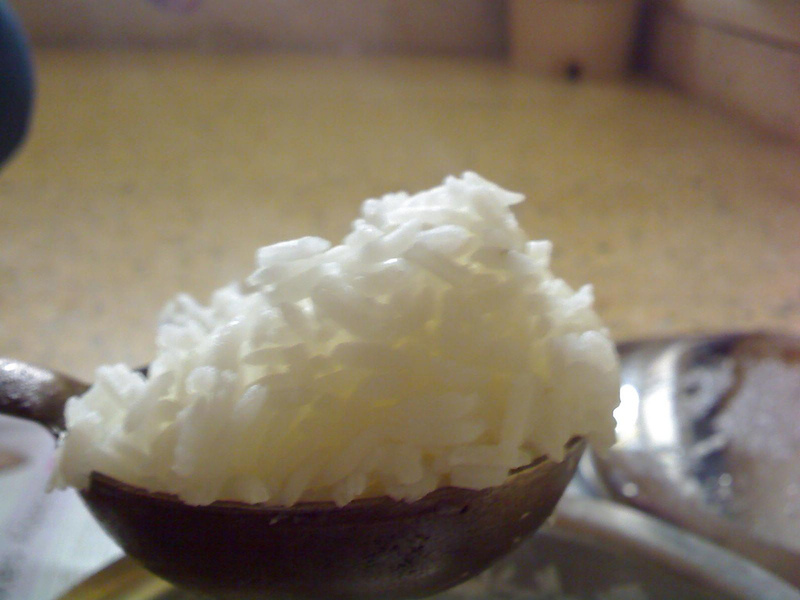 A staple crop is one that provides the majority of a population’s diet, generally providing primarily starch and/or protein. Our current primary staple crops worldwide are corn (maize), wheat, and rice. 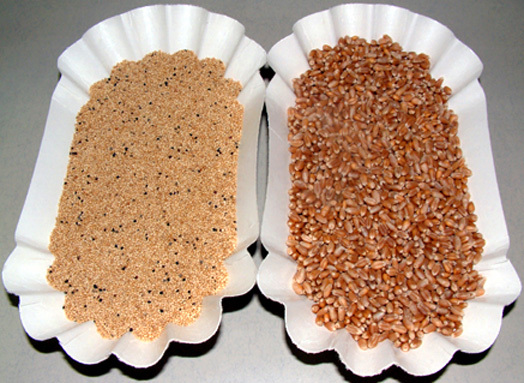 There are also other staple crops or potential staple crops (crops with the capacity to provide the majority of a population’s diet) grown – barley, rye, oats, teff, sorghum (milo), millet, soybeans and other legumes (beans, chickpeas, lentils, ..), quinoa, amaranth, potatoes, sweet potatoes, yams, oca, cassava, arrowroot, plantains and sago (derived from the pith of the sago palm). There are probably others, but those are some of the more common ones. Do you notice anything in common between most of them? Of the 23 crops I just listed, all but 2 are annuals, grown from year to year. Plaintains and sago are derived from short-lived perennial plants, and the sago palm is killed when the sago is harvested. Some of the root and tuber crops can maintain themselves if managed correctly, as not all of the roots or tubers have to be harvested, but a commercial harvest will strip the entire plant population out to maximise production. Fully one third of the plants in the list are grain crops. Nothing wrong with grain crops (all the various grains and pseudocereals I’ve tried have been delicious and versatile) or with annual plants in general. Annuals can provide a valuable contribution to our diets. However, large scale commercial production of annual crops (a) requires huge inputs of fertilisers and pesticides to support vast monocultures, and (b) is very susceptible to variability in climatic conditions. In a world running low on fossil fuels from which to cheaply manufacture chemical fertilisers and pesticides, and anthropogenic climate change increasing climatic variability and extreme climate events, that’s not a good thing for our food supply. One option is to intensify our staple production even further – for example, raise rice intensively using aquaponics or other controlled environment production systems. Eventually, the increasingly industrialised food production systems could be moved off-planet along with other polluting industries and our staples could be produced in space stations. That sort of techno-utopic future is not immediately achievable, though – and depending on the political and popular appetite for technological solutions, not to mention the cost of sending payloads into space and back down to Earth, it may never be achievable. At best, there’s a delay before we can get there. We need some ideas to handle that delay, and to act as fallback positions if sending industrial production off-planet doesn’t end up happening at all. Current agricultural policy is pushing the dual strategies of increasing production without increasing inputs (via genetic engineering, better management techniques and technologies, decreasing costs to offset lower commodity prices, and a combination of hope and luck) and increasing ecological sustainability, specifically maintaining soil health. No one is talking seriously about what crops we grow, except in limited areas of developing nations which are suffering from crop failures and extreme weather events. But there are alternative staple crops available. Many, although not all, of the potential staple crops which are more resilient to climate change than our current major ones are tree crops. Nuts are high in protein and oil (for energy), so depending on climatic zone and soil type that might include pistachios, almonds, hazelnuts, walnuts, pinenuts, pecans, macadamias, and so forth. 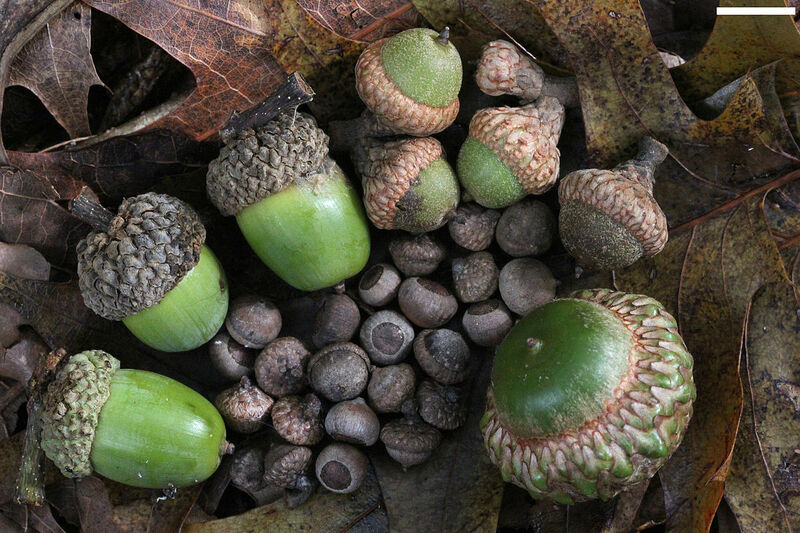 Chestnuts and edible acorns (from holm oaks or cork oaks, among others) are higher in starch than most tree nuts, and can be used more like a grain crop. 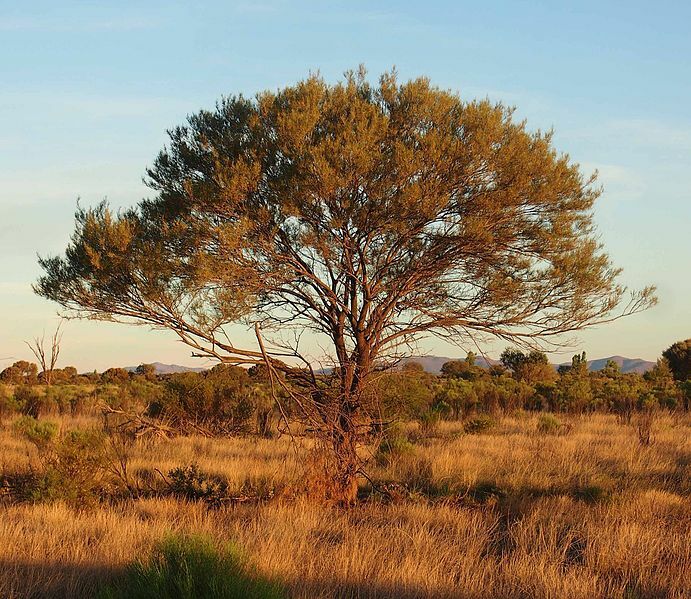 Tree legumes are also a possibility, including edible wattle seeds and mesquite seeds (high in protein, minerals and fibre) and carob pods (high in starch and sugars). Some fruit crops which are high is starch can act as staple crops; plantains are one of those, but sweet bananas also have potential, as do figs and mulberries (both can be dried and used as a major part of the diet), breadfruit, peach palm fruit, and dates. One plausible option to manage the potential food shortages of the not-too-distant future is using these tree crops. So, to support those who want to start trying to incorporate these alternate staple foods into their diets, I’m going to start posting recipes and instructions for the use of these crops. And we’ll be planting at least a few of each of those trees which will grow well in our climate – so one day we’ll be able to supply these crops or products made from them.